My family history research packages are a great starting point to discover your ancestors. 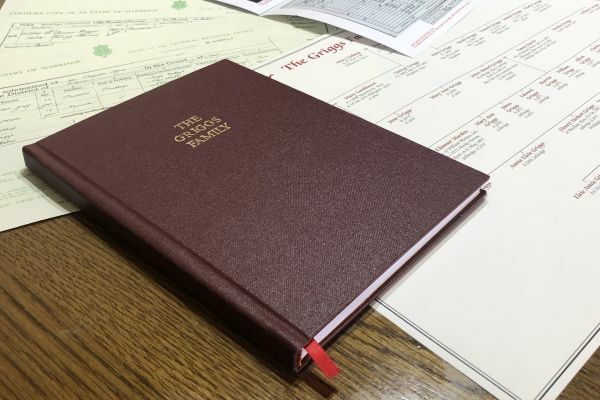 As they are presented as a bound hardback book, they make a great family heirloom, or a wonderful gift for a special birthday, wedding, anniversary, Christmas present or other special occasion. The books are not just cheap print-outs from a family history computer program. 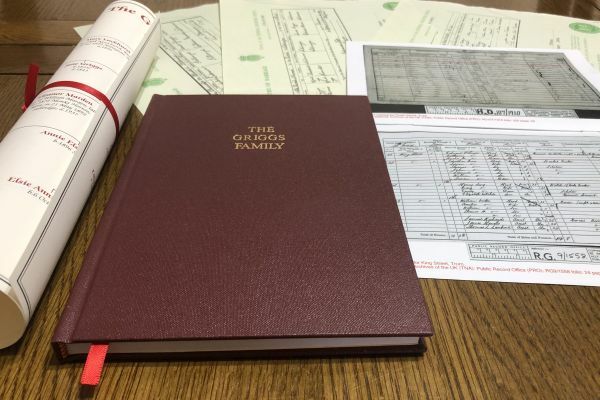 They contain a hand-written research report, integral family tree charts, photos, transcripts and of course details about your ancestors' lives. All facts are properly cited and referenced against the source of the information. Although every family is different, I am likely to trace your English, Welsh or Scottish family tree back around 200 years to the early 1800s. This does depend on how much you already know and what records have survived. The cost of the package depends on the number of lines being researched, with my popular one surname package starting at just £299. If these packages do not meet your needs, then take a look at my bespoke research options. Alternatively, you can use the package as a starting point, and then add to it, for example to research back further. Please contact me to discuss your requirements. If you wish to find out more, you can take a look at my case study page. 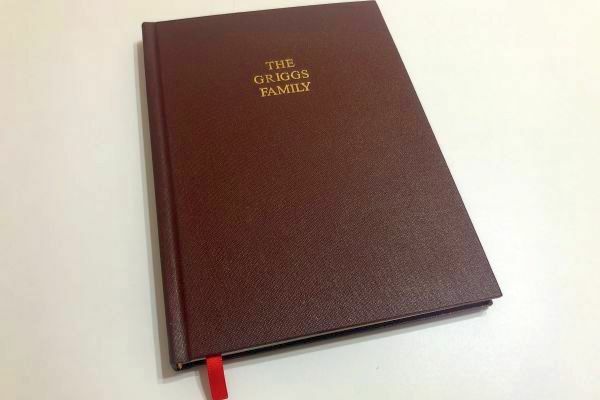 A proper bound hardback book containing your research report and information on your ancestors. A3 sized family chart(s) of your research. Quality research using official General Register Office certificates in England and Wales or images of the original statutory registers for Scotland. Research back 200 years to the early 1800s, sometimes a little earlier. Research can be extended back further, subject to family. Additional work charged by the hour. Information about the town or village where your ancestors lived. Information about their trade or occupation. My dad was so pleased with his family tree... shows everyone that walks through the door! In most cases, I can start with very little information. For example, knowing roughly when and where your ancestor was born, or the full name of who they married, can be enough for me to get started. If you are concerned that you don't have enough, please contact me if you are not sure. But the general answer is that I can start from where you know. My one and two surname family research packages take about six to eight weeks to complete, but I do sometimes have a waiting list. The pedigree package takes a little longer, and is usually around ten weeks. The main reason why the research takes time is that the proper documents, i.e. birth and marriage certificates are used to prove the family tree. These can take sometime to be issued by the relevant agencies. Can You Research My Family Back Further? 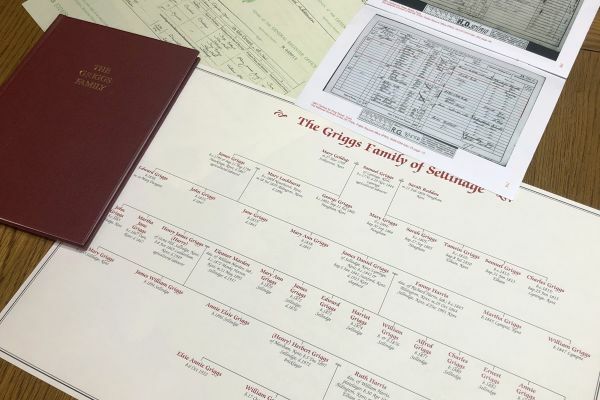 The main records used for genealogy in England, Scotland and Wales have survived very well from the Victorian period onwards, and so most family trees are traceable back to an ancestor born in the late 1700s or early 1800s, i.e. who was alive during this period. However, once you go back further, research is less predictable. It could be that the records just don't survive for the parish where your ancestors lived. If there are no records, it just isn't possible to go back further. Even when there are records, they aren't usually as detailed as those later documents, and so it isn't sometimes possible to discover where your ancestors moved from, or to distinguish two people with the same name from one another. This is where many amateur genealogists go astray, and inadvertently latch on to the wrong family. I love to research families from earlier times, but this is only possible where the records survive, and there is enough evidence to do so. 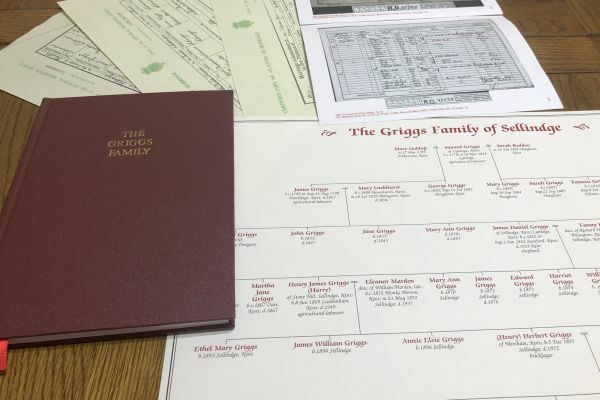 The chances of success will vary on many factors: how common the family surname was, how much your ancestors moved around, their socio-economic status, and even the whim of a church curate. Therefore, I would be delighted to work back further where possible. Any work is done at my usual hourly rate, to a pre-agreed budget, with expenses (for example travel to an archive), at cost. This work can be added to one of my packages if you wish. This package is designed to follow the family history along a single surname. Most clients choose their birth surname, but it could just as easily be a mother or a grandmother's maiden surname if preferred. 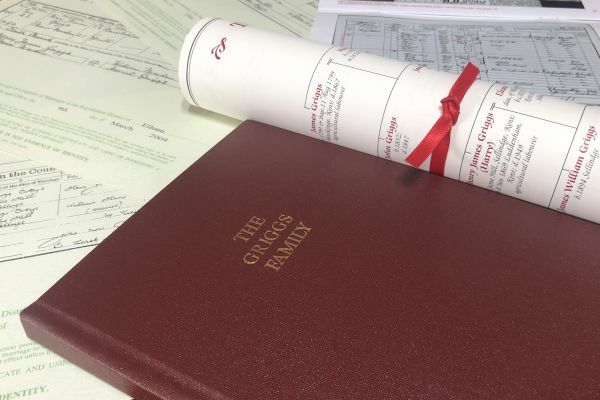 This package is for clients who want to find out about more than one branch of their ancestry, usually I follow the clients surname and their mother's maiden surname. We all have a lot of ancestors, for example, two parents, four grandparents, eight great grandparents! This package is designed for clients who want to find out about many branches of their family tree. So, the aim is to trace all 16 of a living starting persons great great grandparents, and information on some of their 32 great great great grandparents. For most people, many of these ancestors will have been born in the early 1800s.